Rope Charm Bracelet Only $2.84 Plus FREE Shipping! You are here: Home / Great Deals / Amazon Deals / Rope Charm Bracelet Only $2.84 Plus FREE Shipping! Love the delicate look of this bracelet! 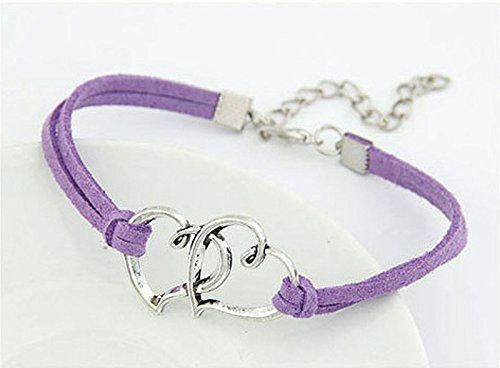 2 hearts linked together and held in place by soft purple rope, this will be a great gift for your loved one! Get the Rope Charm Bracelet for Only $2.84 Plus FREE Shipping!